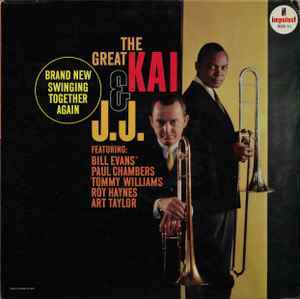 J.J. Johnson & Kai Winding ‎– The Great Kai & J. J. Impulse! 's first release (February 1961, and part of a 'wave' of four, A-1 to A-4) was producer Creed Taylor's idea to revive J.J. Johnson and Kai Winding's mid-fifties twin-trombone quintet.